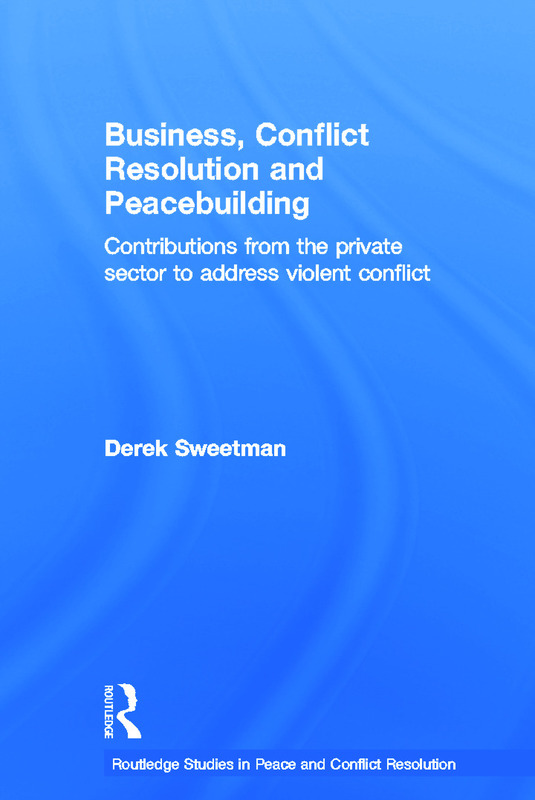 Business, Conflict Resolution and Peacebuilding examines the actions currently being taken by businesses in areas of violent conflict around the world, and explores how they can make a significant contribution to the resolution of violent conflicts through business-based peacebuilding. This book combines two approaches to provide a comprehensive look at the current state and future of business- based peacebuilding. It marries a detailed study of documented peacebuilding activities with a map of the possibilities for future business-related conflict work and pragmatic suggestions for business leaders, conflict resolution practitioners, and peacebuilding organizations. The use of the label ‘business-based peacebuilding’ is new and signifies actions business can take beyond simple legal compliance or making changes to avoid creating a conflict. Although business-based peacebuilding is new, examples are included from around the world to illustrate that, working together, businesses have a strong contribution to make to the creation of peaceful societies. The book advocates pragmatic peacebuilding, which is not overly concerned with cause-driven models of conflict. Instead, pragmatic peacebuilding encourages an examination of what is needed in the conflict and what can be provided. This approach is free of some of the ideological baggage of traditional peacebuilding and allows for a much wider range of participants in the peacebuilding project. This book will be of much interest to students of peace studies, conflict resolution, international security and business studies, as well as to practitioners and business leaders. Derek Sweetman is Dispute Resolution Director for Better Business Bureau in Washington, DC and Instructor at New Century College, George Mason University, USA.